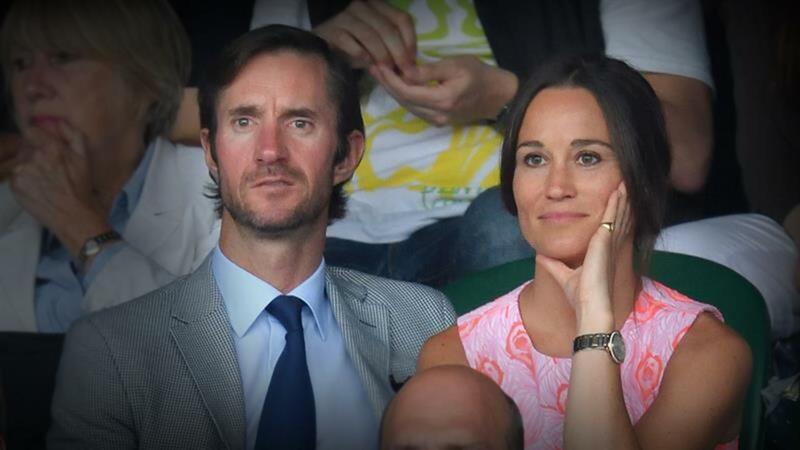 Pippa Middleton's fiance James Matthews spotted running ... with the royal dog? James Matthews is fitting right into the Middleton clan! Pippa Middleton's new fiancé James Matthews, was spotted out on a jog near his London home on Thursday and he was all smiles as photographers snapped his picture as he sped by. The 40-year-old hedge fund manager was jogging with a black pup that looked extremely similar to Kate Middleton and Prince William's English cocker spaniel, Lupo. While it's impossible to say whether this was, indeed Lupo, the resemblance is uncanny. The black-haired pup was on a hip rope leash and stayed close to Matthews. And speaking of hip, it's impossible not to notice Matthews' hipster style. The wealthy Londoner was sporting a white T-shirt that read, "Roger That," a set of Nike shorts, blue trainers, and a backpack with some serious straps. He let his perfectly coiffed hair blow in the wind and sported a scruffy bit of facial hair. While Pippa and her royal sister, Kate, could practically go toe-to-toe in the style department, it's clear that Prince William is going to have a little competition with his future brother-in-law. Matthews' handsome looks, slick style, and tech entrepreneur-meets financier-meets adventurer look is a tall order. Either way, we know one person who could as least keep up with Matthews in the jogging department. Pippa is also an avid jogger -- check out her post-engagement jog photos below! Pippa Middleton, sister of the Duchess of Cambridge goes for a run outside her London home a day after she announced her engagement to financier James Matthews.